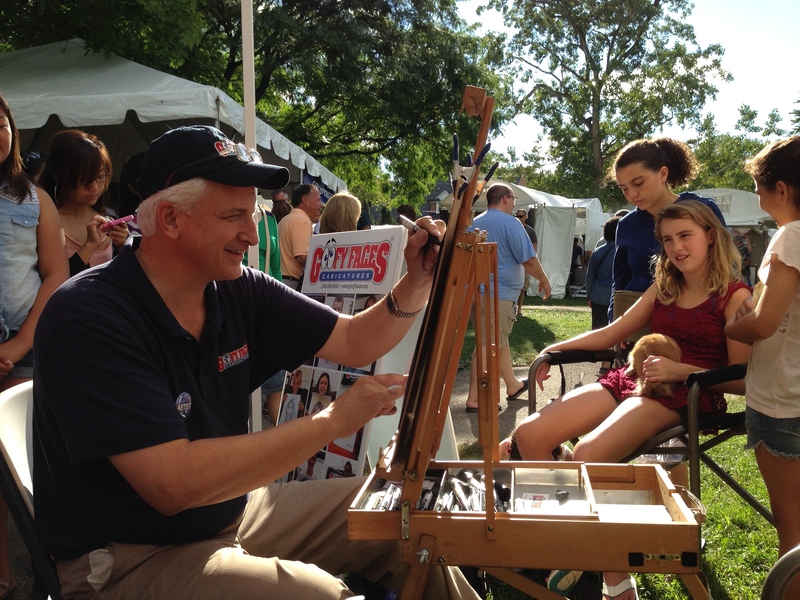 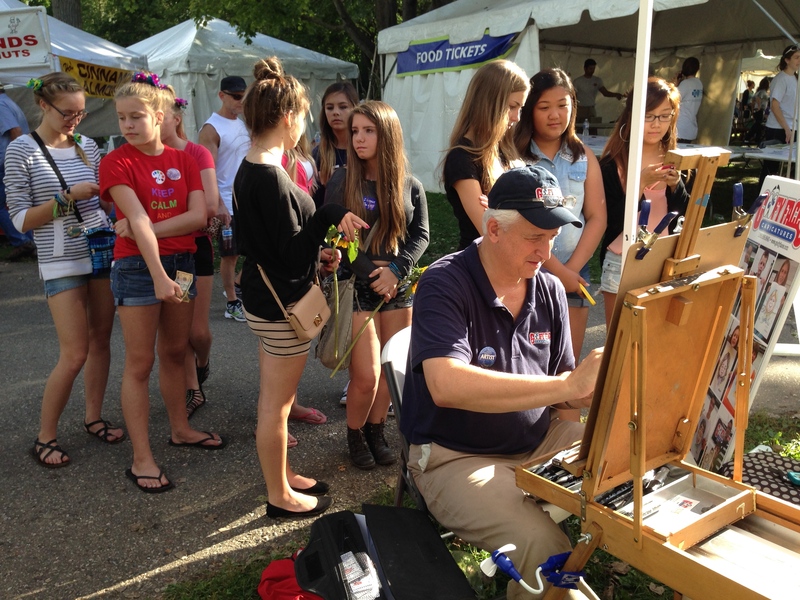 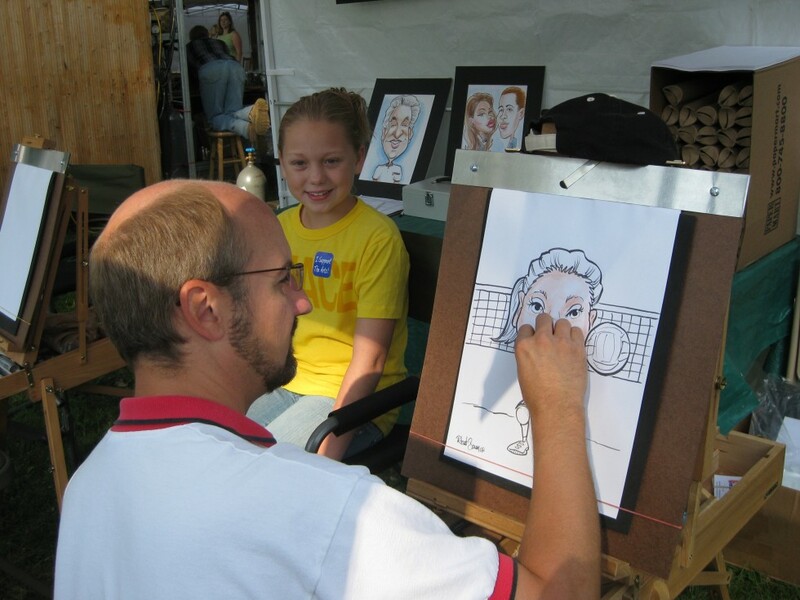 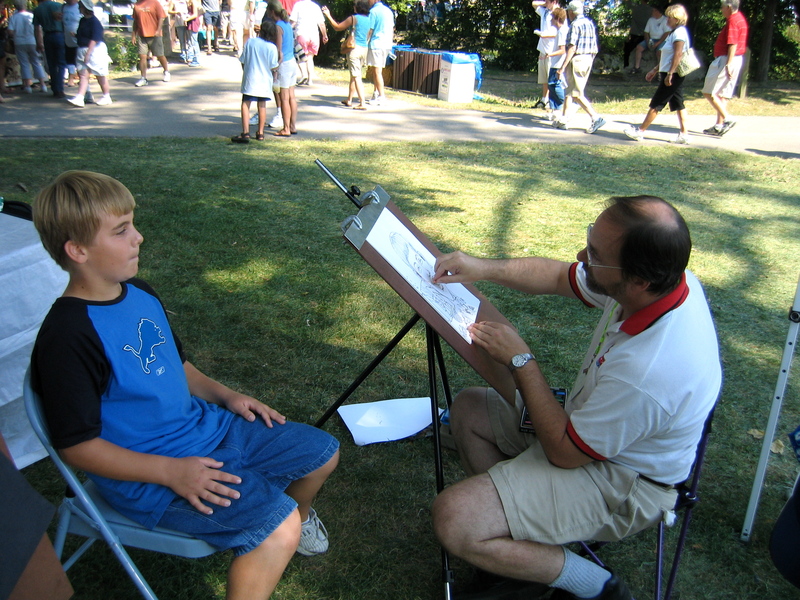 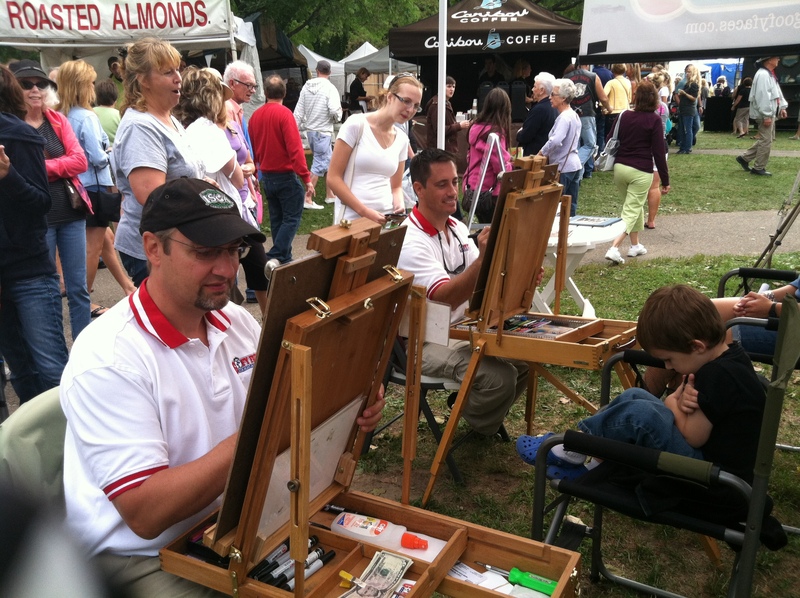 For 49 years, the Art & Apples Festival® has transformed the 30-acre Rochester Park in Rochester, MI into one of the nation’s top fine art fairs with over 290 exhibiting artists from across the country. 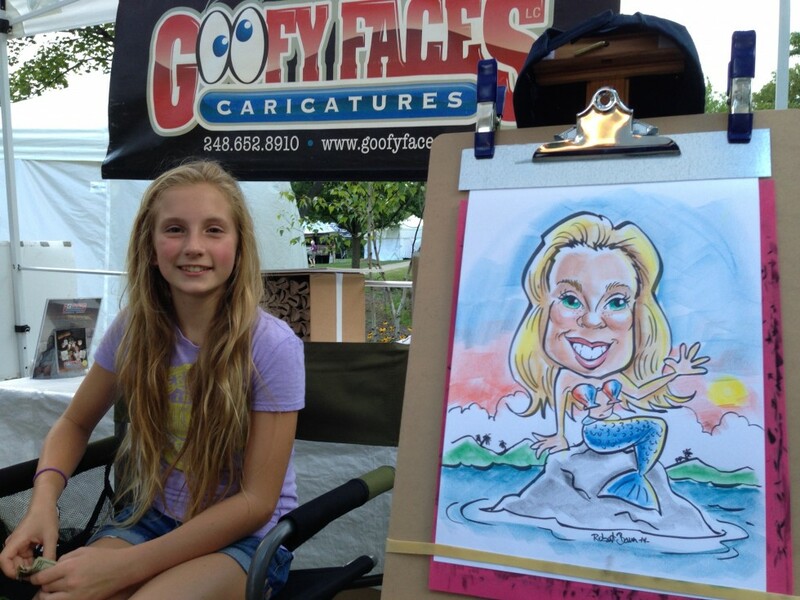 Goofy Faces has been a proud sponsor of this event for the past 10 years. 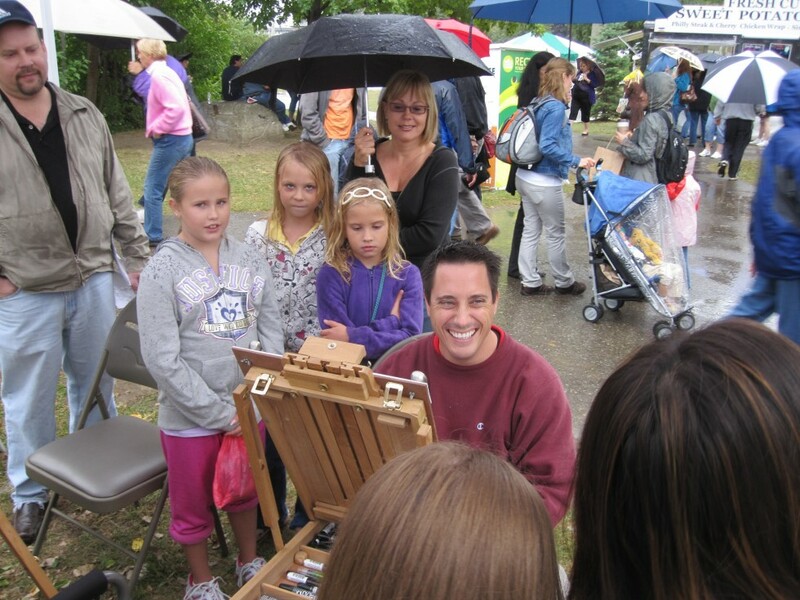 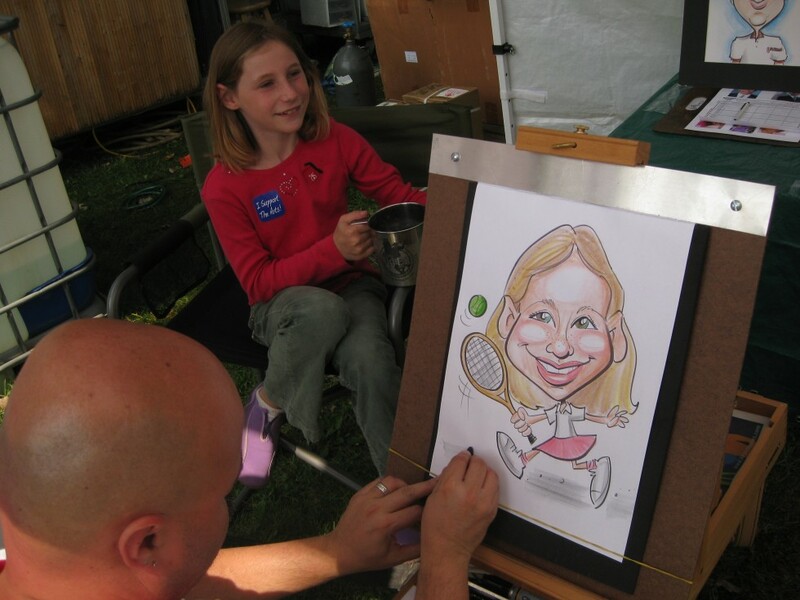 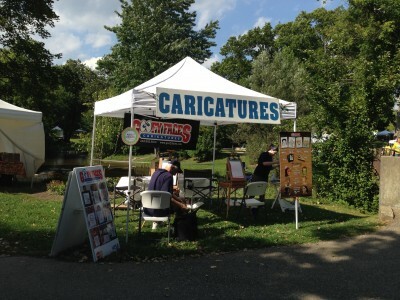 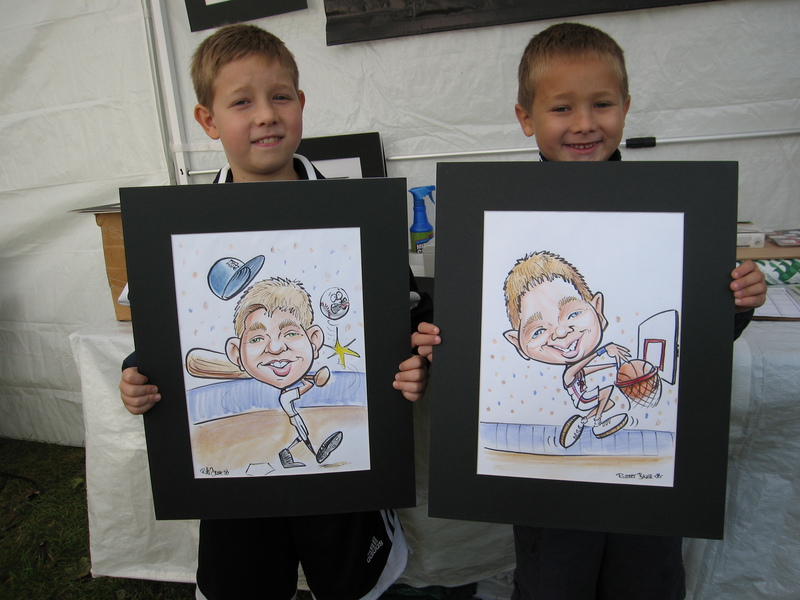 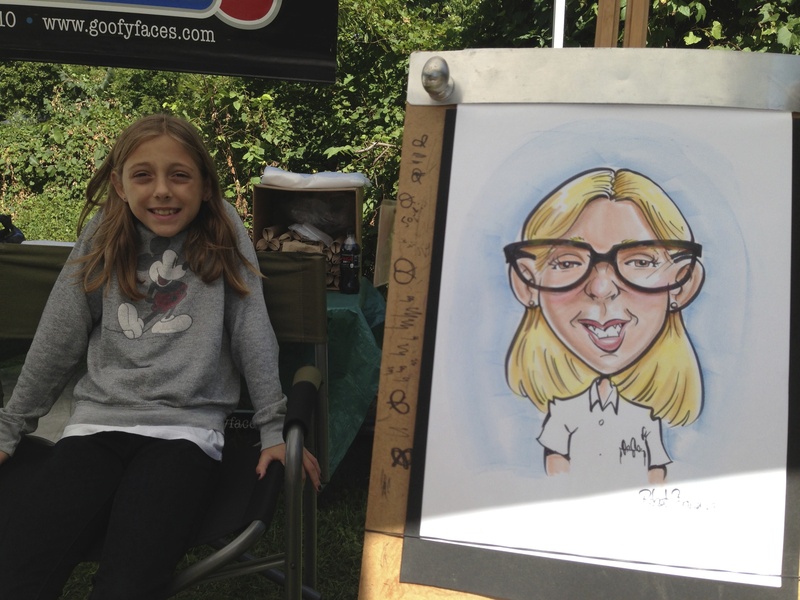 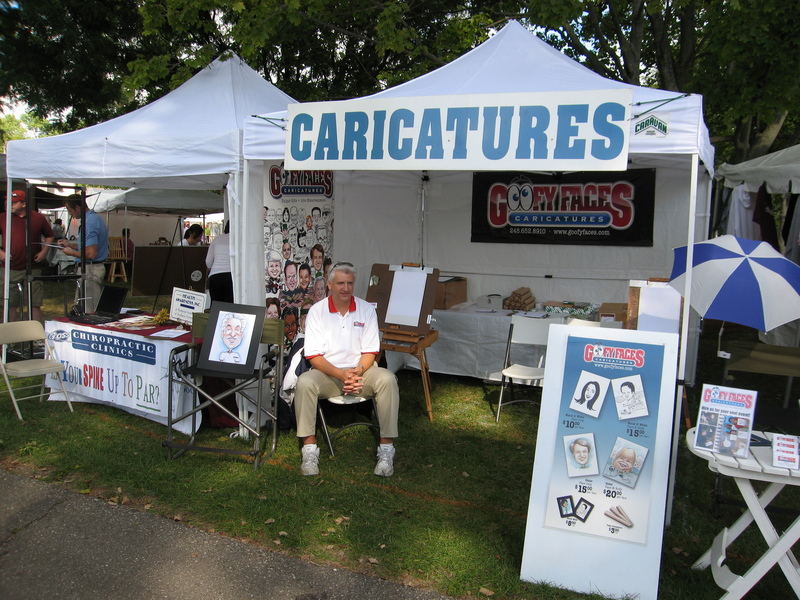 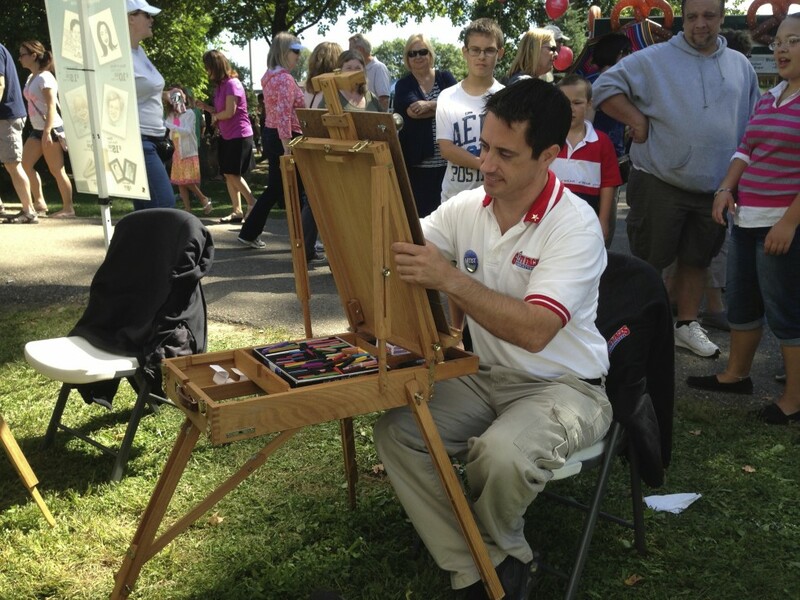 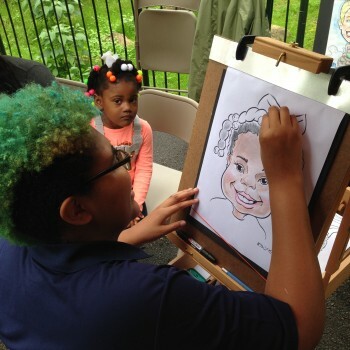 Each year I enjoy drawing close to home for 3 days and seeing so many of our customers and clients drop by to say hello or get their caricature drawn by me or the other artists I ask to work with me at the festival. 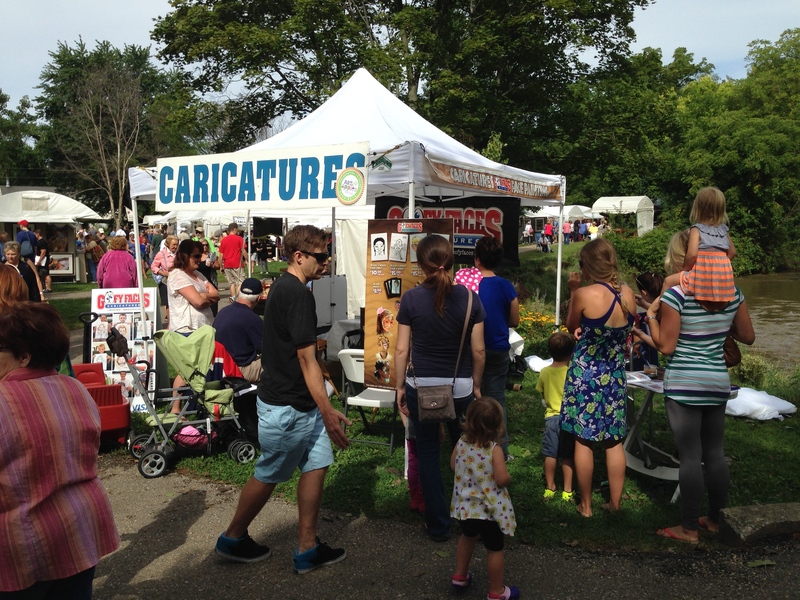 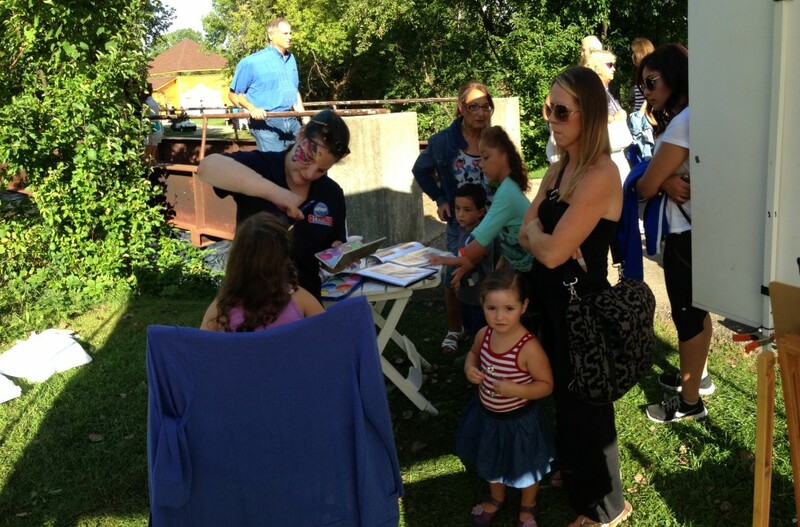 This year’s festival was our busiest one to date! 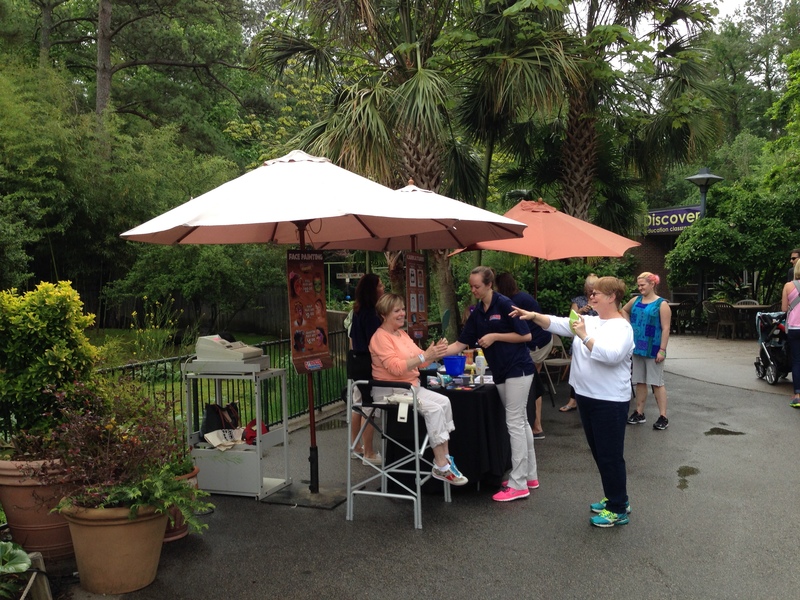 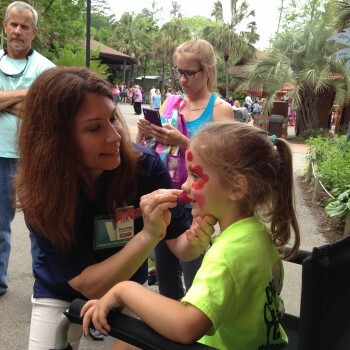 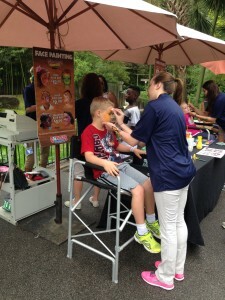 We added a face painter for the first time this year and Michelle was busy all day long. 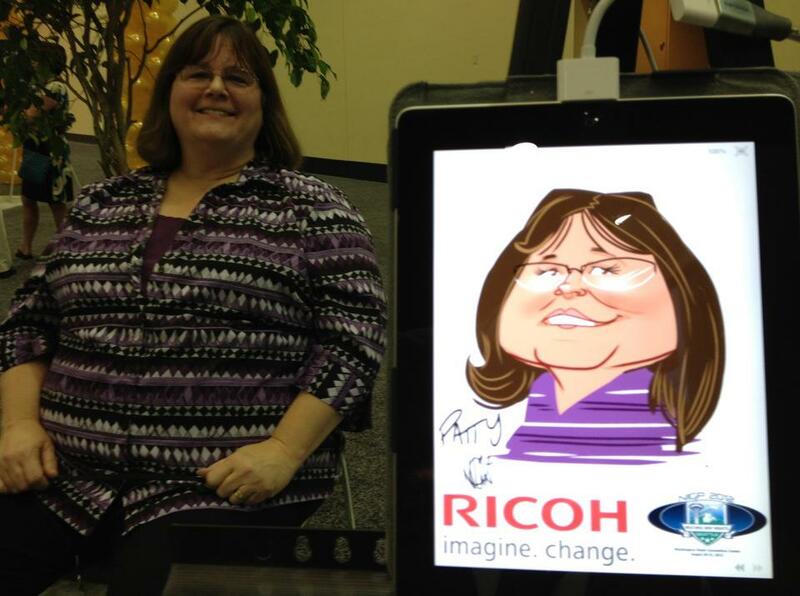 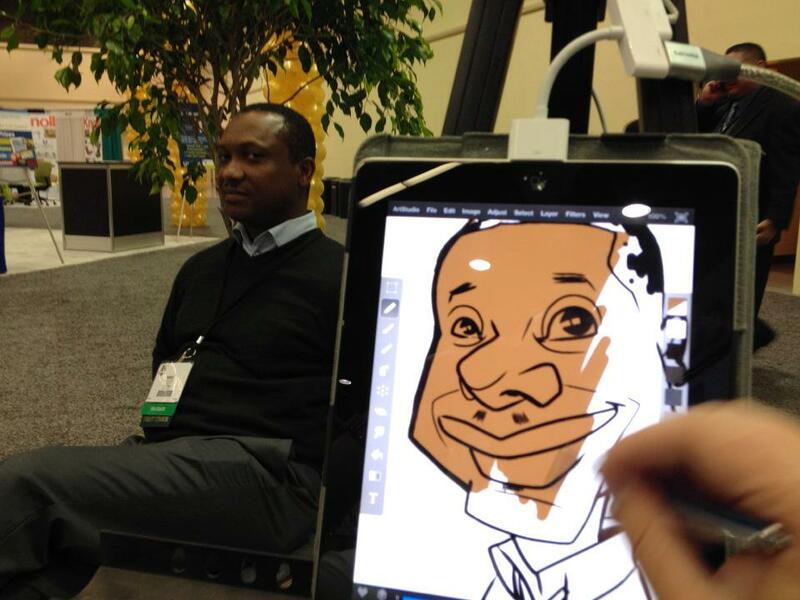 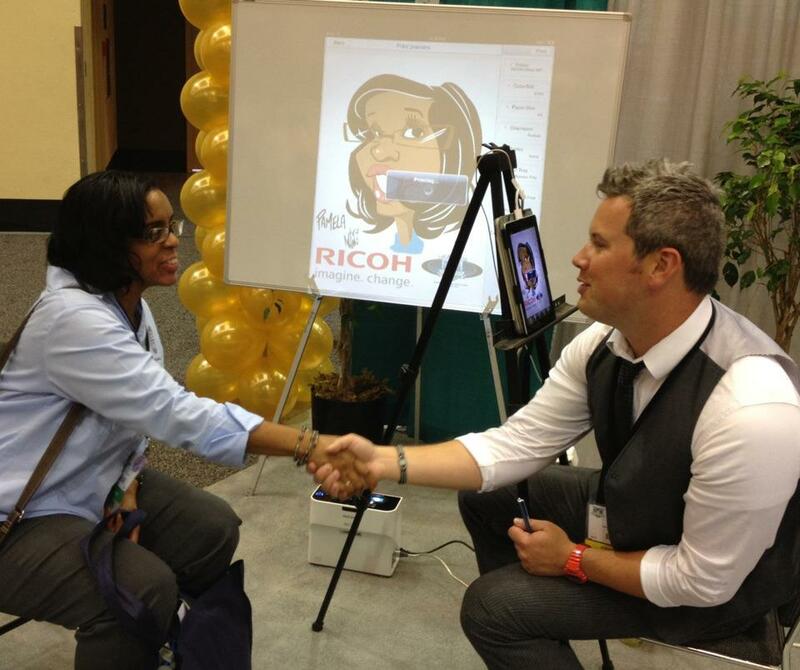 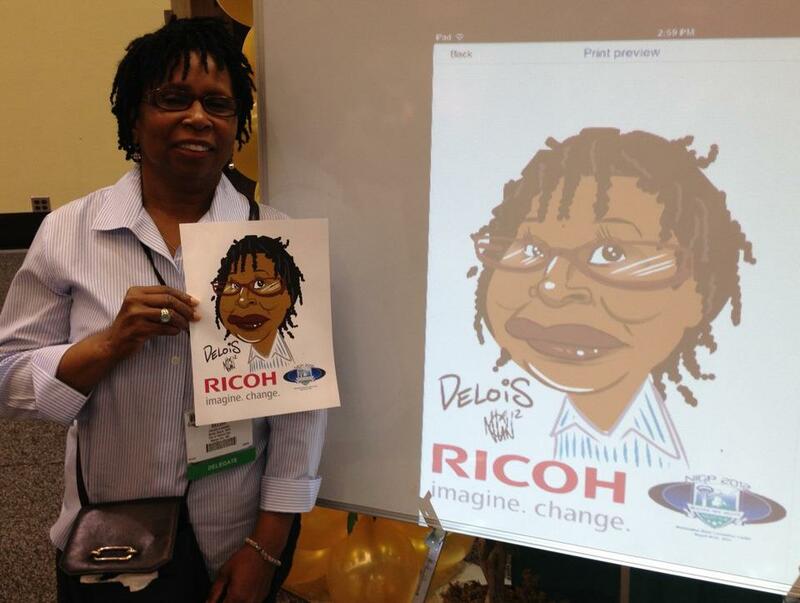 Ricoh, USA hired Goofy Faces to provided live color digital caricatures which we call eSketches™ at a 2-day trade show in Seattle. 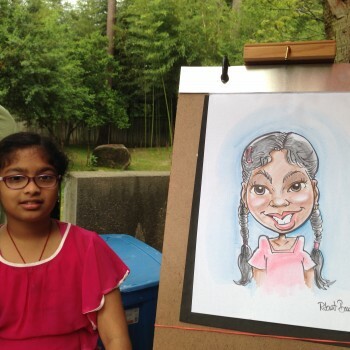 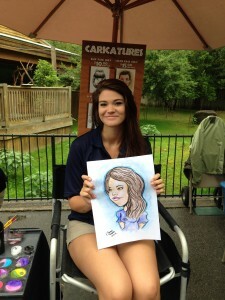 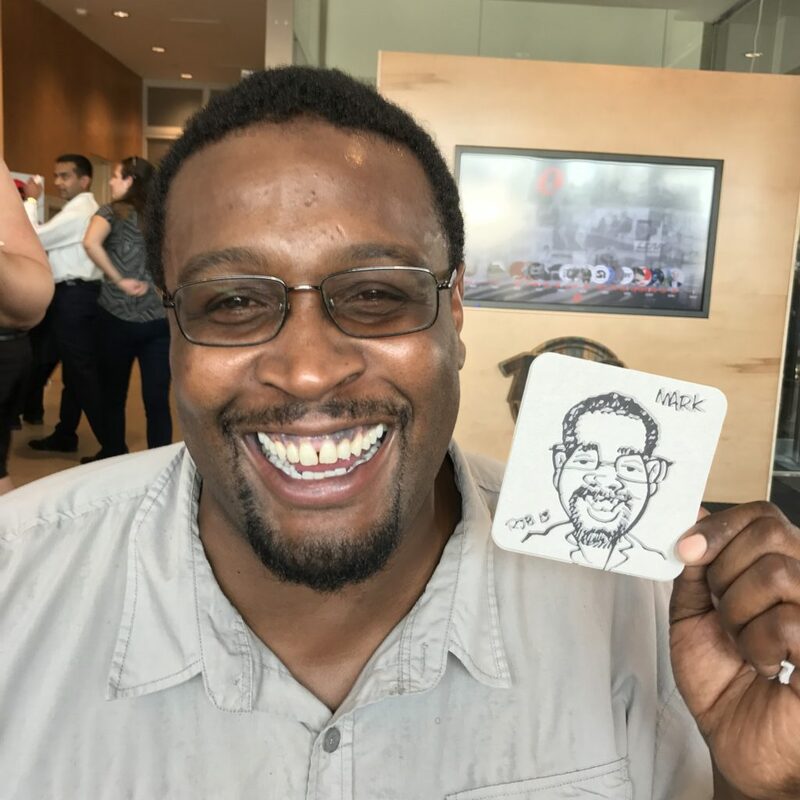 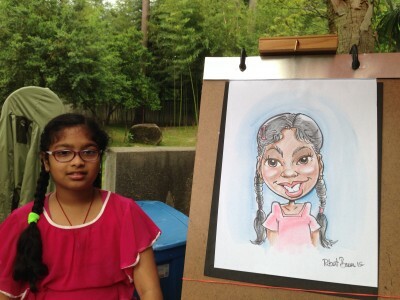 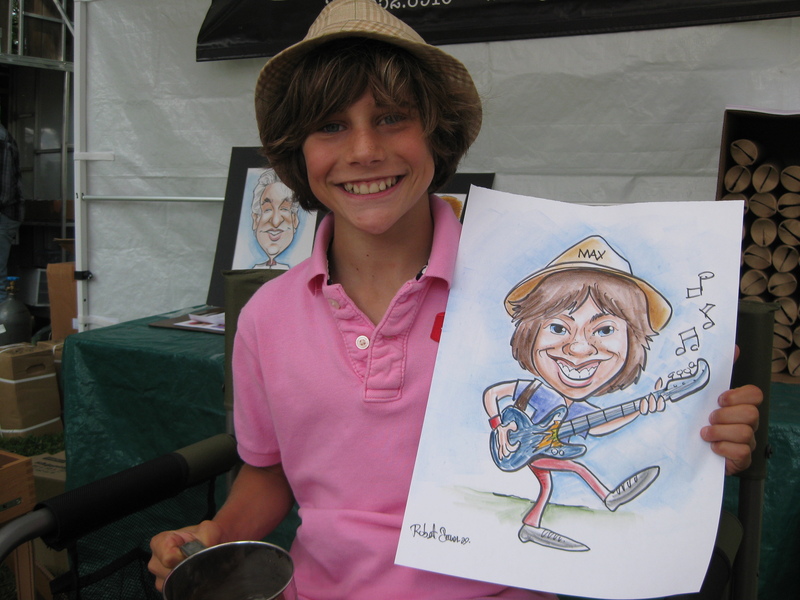 Digital artist, Nolan, delighted guests for 2 straight days with caricatures he drew on his iPad and printed them out for guests on a Ricoh printer. 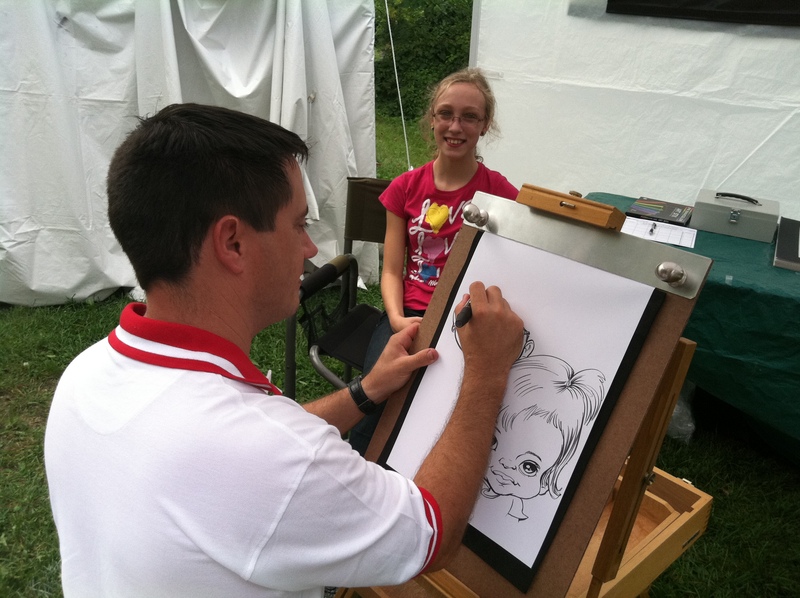 Attendees were also able to watch each drawing take shape on a large screen near the artist as he drew each guest. 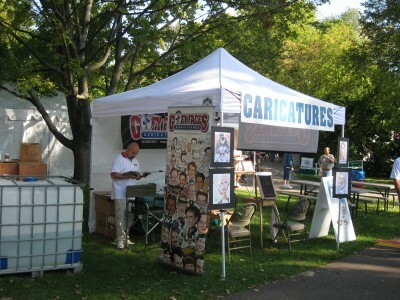 eSketches™ are a great value for trade shows and are available nationwide!